HEALTH & LIFESTYLE: MY FRUIT/VEGGIE CLEANING REGIMEN PART 1. — All Eyes on Jordy C.
It’s so important to make sure that you are thoroughly cleaning your fruits and veggies! This may seem like a “duh” moment but believe it or not..people tend to cut corners when it comes to this! Some even believe that if the fruit is organic, it doesn’t need to be washed! ALL fruits and veggies need to be washed no matter how they were cultivated or where they came from. After all, produce travels through several steps before reaching your local supermarket/farmers market. Not only that, you don’t know who has touched them and what they have touched! As I always say, it’s better to be safe than sorry….so always thoroughly wash your produce! I personally only trust to use Fit Organic Fruit & Vegetable Wash to clean all of my produce. Some believe that washes aren’t good to clean produce because they leave residue which may contain chemicals. 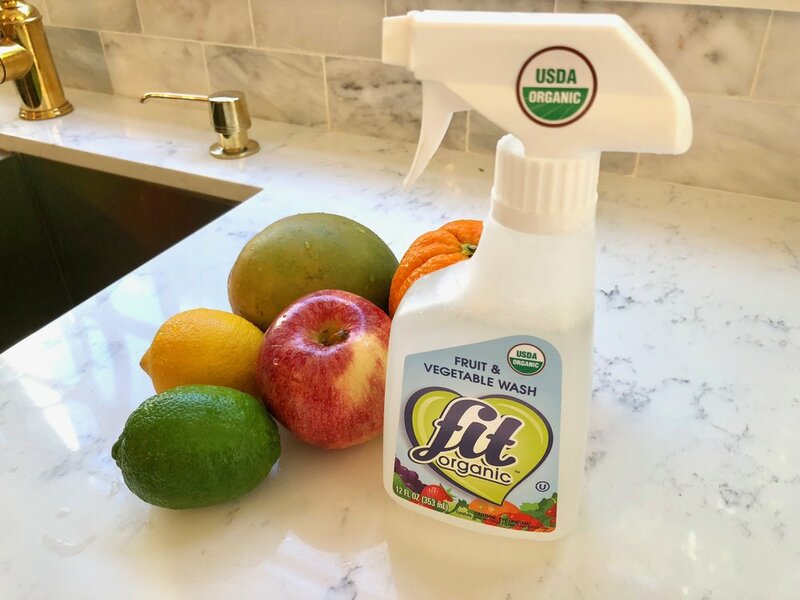 Fit Organic Fruit & Vegetable Wash is a Certified USDA product and does not use chemicals. I trust in this product because all of its ingredients come from natural sources used in everyday foods. The spray removes 98% more pestisedes, human handling residues, waxes and other contaminates than water. They also don’t use animal testing and the product has no expiration date- it can’t spoil! This wash can be purchased at Whole foods, Gelson’s, Bed Bath & Beyond, Ralph’s or Amazon. Happy Washing!